Husqvarna Motorcycles was founded in 1903, and was bought by KTM in 2013. The Swedish marque has a great reputation with building and racing enduro-style machines, and we may soon see these motorcycles being manufactured alongside the KTMs at Bajaj’s Chakan manufacturing facility from 2018. Stefan Pierer, CEO of KTM and Rajiv Bajaj, Managing Director of Bajaj Auto have decided to take the Husqvarna brand global this year with Vitpilen 401, Svartpilen 401 and even the larger Vitpilen 701. The big news is that the production of Vitpilen 401 and Svartpilen 401 models will be moving from their plant in Austria to Bajaj’s manufacturing facility in Chakan from next year. Hopefully, the Husqvarna bikes will be sold in India soon after. Vitpilen stands for ‘white arrow’, while Svartpilen means ‘black arrow’. The 401’s tech specs are almost identical to the 390 Duke. 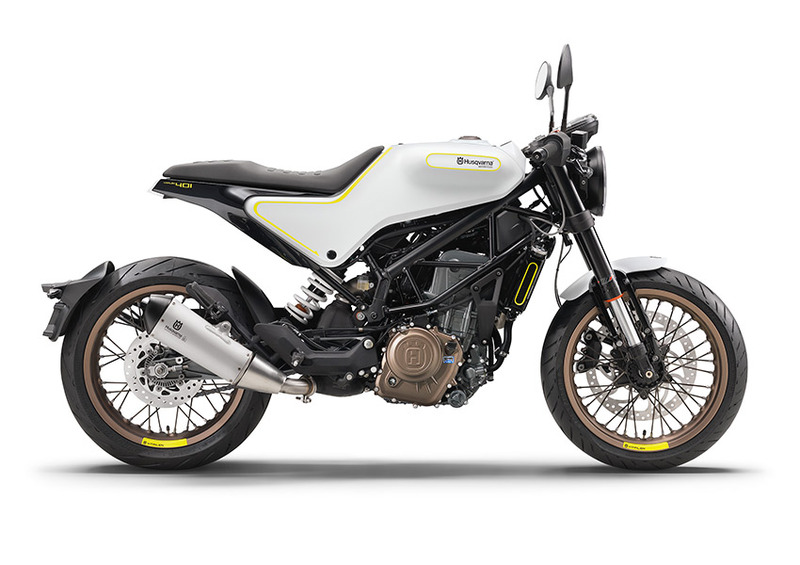 Interestingly, unlike the KTM the Husqvarna follows a radical café racer type styling, using a Chro-Moly-Steel trellis and wire-spoke wheels. The concept Vitpilen 401 and Svartpilen 401 models were unveiled at the 2016 EICMA and will finally be manufactured right here in India. Powering the concept Vitpilen 401 was a 375-cc liquid-cooled single producing about 44 PS and 35 Nm, mated with a six-speed transmission. It uses suspension from WP, brakes from ByBre, and the dry weight is just 148 kg. Once the production of Husqvarna’s 401 series commences in India, it will take KTM’s Indian production figures up to 2 lakh annually, up from 1 lakh this year. Now, this is one bike we can’t wait to get our hands on.